How juvenile can the left get? 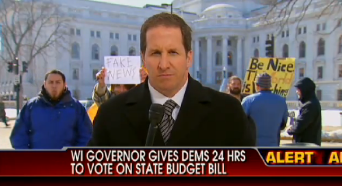 I laugh as the little girl quickly folds her “Fake News” sign up when Mike Tobin turns around, but even funnier is the little boy who steps in and sticks out his tongue at the camera. Oh yeah, we really need them making decisions for America. Shutting down dissent, interfering with the freedom of the press, acting like spoiled children, monopolizing air time, isn’t that what these childish leftists have always accused others of? Frank Buckles, the last American World War One Veteran died peacefully in his sleep at his home. He was 110 years old. 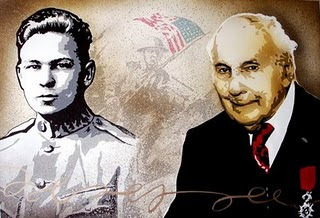 Buckles was an outspoken advocate for the renovation and repair of the D.C. WW1 Memorial. May he rest in eternal peace, knowing that when it mattered, he did make a difference. One era dies and another begins. “In 2008, U.S. Rep. Shelley Moore Capito, W.Va., sponsored a bill to allow Buckles, upon his death, to lie in honor in the U.S. Capitol Rotunda. Corporal Buckles body is at a Washington D.C. funeral home. Save the Planet – Start a Nuclear War? Okay all you anti-war leftists, do your part. March in support of nuclear war, to “save the earth.” Who would have ever thought bought and paid for anti-war protesters were actually harming the earth by preventing nuclear war? I wonder if this research has been peer reviewed? The tactics of hate that were used to form the now failed Soviet Union. I would expect this from Venezuela, Iran, North Korea or Cuba, but I see that those who preach tolerance and diversity actually mean only for their view. Keep it up, liberals. The world is noticing. That moveon.org is the overseer of Uncle Sam’s Plantation obviously escapes the lass. They’ll at least keep us entertained and show the world the true nature of today’s left and public unions who don’t care whether taxpayers survive or not. Wu Says He Won’t Go. GOP Cheers. He should go but won’t. Nothing but an upside in 2012 for GOP. Wu sells out an entire district. They’ll make him pay.